During her CNN town hall last week, Sen. Kirsten Gillbrand (D-NY) made a claim that the National Rifle Association of America (NRA) is largely funded by gun manufacturers. "Let's be really clear what the issue is. It's the NRA, and it's greed. The NRA is largely funded by the gun manufacturers," Gillibrand said. 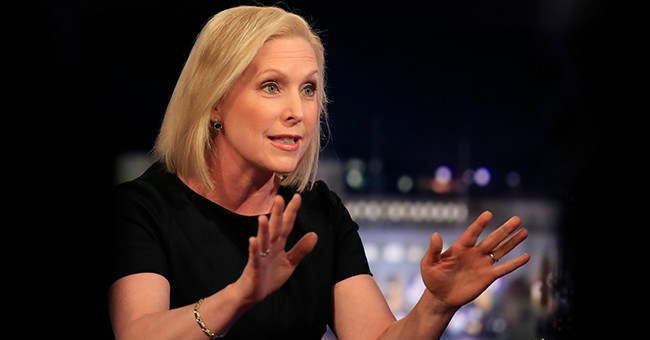 Gillibrand isn't the first Democrat – or anti-gunner – to run with this idea yet it's 100 percent false. For whatever reason, those who are in favor of gun control legislation like to push the same talking points without doing any kind of research. Anti-gunners repeat these talking points because they sound great on paper, even if they are rooted in lies. The NRA is made up of five MILLION members. They're men and women who want to protect their right to keep and bear arms. They want to preserve the ability to defend themselves and others, should the need ever arise. These members believe in hunting, conservation and the shooting sports. Liberals continually paint the NRA as this big, ugly, powerful group that is compromised solely of gun manufacturers. They don't seem to understand that it's the mom across the street and the guy next to you in the grocery store who belong to this group. Sure, there are people who are employed by gun manufacturers that belong to the NRA. That doesn't that gun manufacturers are handing over large chunks of change to the gun rights organization. In fact, gun manufacturers themselves have their own trade organization called the National Shooting Sports Foundation (NSSF). The group is known for promoting the shooting sports and putting on the Shooting, Hunting and Outdoor Trade (SHOT) Show every year. SHOT Show is an opportunity for gun manufacturers, dealers, accessory companies and everyone even remotely tied to the firearms industry to come together and preview the new products that are being released that year. People like Gillibrand are quick to label firearms manufacturers as people who only care about money, which is the furthest thing from the truth. In fact, one of the largest, most successful gun safety programs in the nation is NSSF's Project ChildSafe. The program has given out more than 38 million free firearm safety locks. The nonprofit group partners with various law enforcement programs throughout the nation to distribute the locks to those in need. Project ChildSafe received a $2.4 million grant from the U.S. Department of Justice’s Bureau of Justice Assistance to continue their lock distribution. And guess what? Firearms manufacturers also provide the same type of cable locks with every purchase. Since 1993, manufacturers alone have given out 70 million locks, a $140 million investment in firearm safety. So no, gun manufacturers do not make up the NRA. That's the NSSF. And they're doing work that is extremely important but often unnoticed.